In the last few decades women have made headway into a range of industries. Yet, when it comes to manufacturing, the U.S. Bureau of Labor Statistics reported last year that women make up just 29 percent of the workforce. The picture is a little different in pharma, where women comprise about 42 percent of the industry — until you look at the top, where there are far fewer women in management and leadership positions. How are women breaking into the upper echelons of pharma? 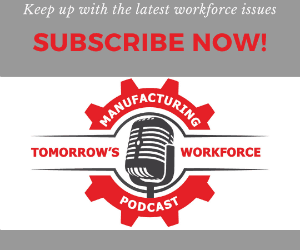 Earlier this year, Pharmaceutical Manufacturing’s parent company, Putman Media, and our sponsor, Rockwell Automation, launched an annual program to honor and learn from top female leaders throughout manufacturing. The initiative, called Influential Women in Manufacturing, elicited over 100 nominations for women affecting change in a variety of sectors, of which, 22 were selected to be given the award. That winners’ pool included these five women from pharma. When Jan Lindsey landed her job at St. Jude Children’s Research Hospital, she found herself in a dream role. “As opportunities arose, I moved out of the clinical lab and into quality assurance,” she says. At Children’s GMP Lindsey now oversees the calibration and maintenance of more than 2,000 pieces of equipment, ensuring that the GMP facility’s biological and cellular therapy products are manufactured using equipment that meets strict federal guidelines. It’s no small task and is one that plays a critical role in helping children suffering from a range of illnesses. Lindsey directs equipment, process, and hardware/software validation projects, all while mentoring other women in her department and helping to open new doors for their careers. She says that increasing female leadership roles is one part of the job she would like to change — and has set her sights on doing just that. Best advice you’ve received: Ask questions and keep asking questions. What is the most exciting frontier in pharma? Cellular therapies. What advice would you give a young woman entering your industry? Work hard, you are not entitled to anything. Put in your time and do your homework. Rebecca Holland New has been passionate about working with patient needs for a very long time. “I have friends and family that have benefitted from the advances in medicine and I find that very satisfying from a career perspective,” she says. That drive has helped propel her to the upper ranks of Thermo Fisher Scientific, which she became a part of after it acquired Patheon in 2017. At Patheon, Holland New made a name for herself overhauling the company’s organizational culture and business strategy, which helped drive revenue from $650 million to $1.5 billion in five years. Improving efficiencies for both her company and clientele remains a top goal for Holland New at Thermo Fisher, where she is focused on helping customers simplify their complex supply chain needs. Holland New says she is also proudest when she can nurture talent and help members of her team move up within the company. What is the most exciting frontier in pharma? The direction of precision medicine. Thermo Fisher is at the forefront of this effort where technology, data and clinical expertise combine to dramatically improve population health, better diagnose and treat disease and accelerate the discovery and use of new medicines. What advice would you give a young woman entering your industry? It is important to have an intellectual curiosity about the business and how it works. To be an effective leader, one must understand how the business actually works from top to bottom. There’s no shortage of impressive accomplishments in Rachelle Howard’s career. Armed with an innovative mindset, Howard has made similar strides at Vertex Pharmaceuticals where she is the automation lead in the development, implementation and continuous improvement of the industry’s first commercially approved continuous manufacturing process. Despite these accomplishments, Howard says that in an industry dominated by men, she’s felt the need to work harder to prove her strengths and dedication. Now in her leadership role, Howard has worked hard to support other women in her field by staying active in a company-sponsored Women in Leadership initiative, serving as an informal mentor to other female engineers, and volunteering for STEM and reading outreach programs at local grade schools. What has been your biggest triumph thus far? The current project that we’ve been working on, which is redesigning the control system that operates our manufacturing system. I’ve been leading that and it’s just very rewarding seeing this all come together. What changes do you wish you could impress upon the pharma industry? I’ve always had an interest in how we can get at data in a more automated way. Not just improve the process in some areas but to have that automated view and triggers to be able to say where we can improve the process. Do you have advice for young women thinking about becoming chemical engineers? Listening and learning is incredibly important. Then when you know what you’re talking about, don’t be afraid to speak your mind. Working in pharma wasn’t part of Dona Tseng’s plan. After finishing her engineering degree, Tseng first landed a job with DuPont, doing both technical and managerial work for plant operations. But after an opportunity arose to switch to pharma, Tseng discovered a passion for using her expertise to help produce life-saving drugs. That mission became even more crystalized after she unexpectedly found herself on the patient side of the equation when her husband was diagnosed with, and later died from, an incurable cancer. “Sharing in the hopelessness felt by so many families with loved ones in similar situations, I have committed all I have to fast-tracking new clinical drugs from laboratory to clinical doctors and patients who are desperately waiting for new treatments,” she says. Tseng has also solved manufacturing-related FDA compliance issues for clients under warning letter, and has a 100 percent first-time approval track record on all of her FDA submissions in the past 20 years. What is your proudest accomplishment? I was assigned a process development project that failed several times over 10 years. Taking the lead, my team and I solved the process problems and successfully implemented our solutions in record time. We saved market share, our manufacturing facility and hundreds of jobs. What is the biggest challenge the industry faces? Everything takes too long to get done. But focusing on new drugs, we need more engineers who can work with scientists, translate their benchtop research into approved real-world clinical drug manufacturing processes and do it in an expedited timeframe. According to Rendela Wenzel, she didn’t choose her career path — it chose her. Although she started out as a line supervisor (like many engineers), she eventually moved up and became reliability engineer. Now in her 15th year with Eli Lilly, Wenzel implements reliability programs and on-site failure analysis for the company’s 21 manufacturing sites in 13 countries. As global process owner for reliability, Wenzel is responsible for all of Lilly’s policies and direction for reliability and predictive maintenance (PdM). Wenzel also writes and implements policy and procedures that create global quality standards and engineering functional standards. What is the biggest problem in the industry? Manufacturing as a whole is seeing a leveling-off of outsourcing. Jobs are coming back, but the talent pool is also getting smaller with people leaving the workforce. What is the most exciting frontier in pharma? IoT is having an enormous impact on how we do business. What advice would you give women? Take opportunities. It may not be the most appealing job at the moment, but consider the future outcome of what you may learn while waiting for that golden role to appear. Do You Work With an Influential Woman in Manufacturing?